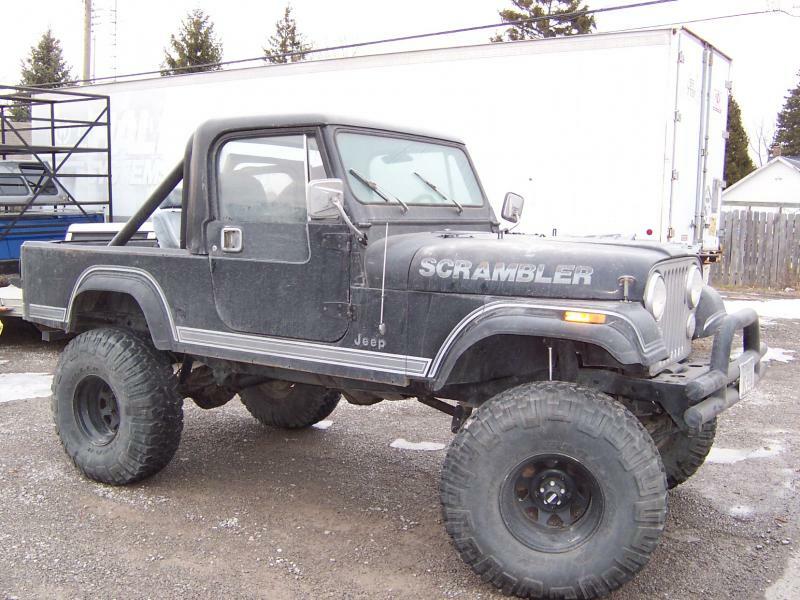 Up for presale is a VERY big 1983 Jeep Scrambler Laredo in original paint and NO ROT! It has like new 37x12.50 Goodyear MTs with a Springover (done right) with a 2.5" Rubicon Express Lift; upgraded 4.88 Gears and a Ford 9" in the rear. Good 6 cylinder and a 5 Speed! New steer box and upgraded carb and ignition. Well Done shackle reverse! She needs paint and a steering column + carb work from sitting. This is the only picture available at this time. Local sales only for now please until we put some time into it and the price goes up.